With Mother's Day just around the corner, I decided to make tokens for some friends and Bud's teachers. Nothing elaborate. 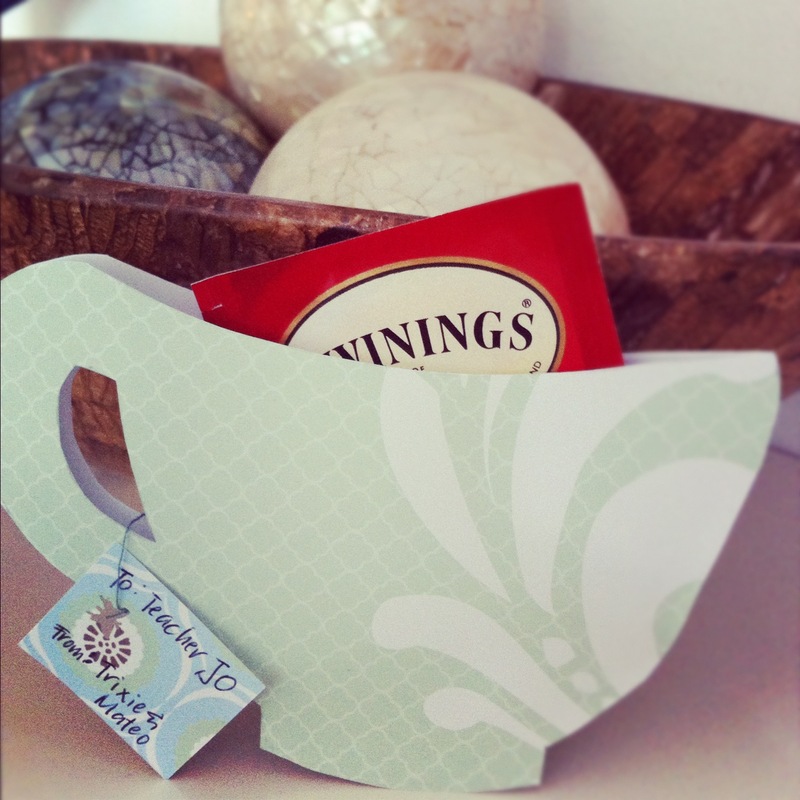 Just a simple yet thoughtful teacup card to let them know they are appreciated. Isn't that what really matters? Step#1 Fold your paper in half. Using the template, draw the teacup at the top of the paper with the cup handle touching the fold. 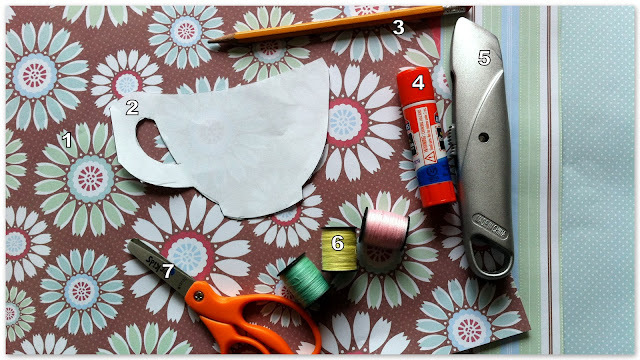 If you are using a 12in x 12in sheet of paper, you can make 3 teacups with one sheet. Step #2 With a cutter, cut out the teacups. 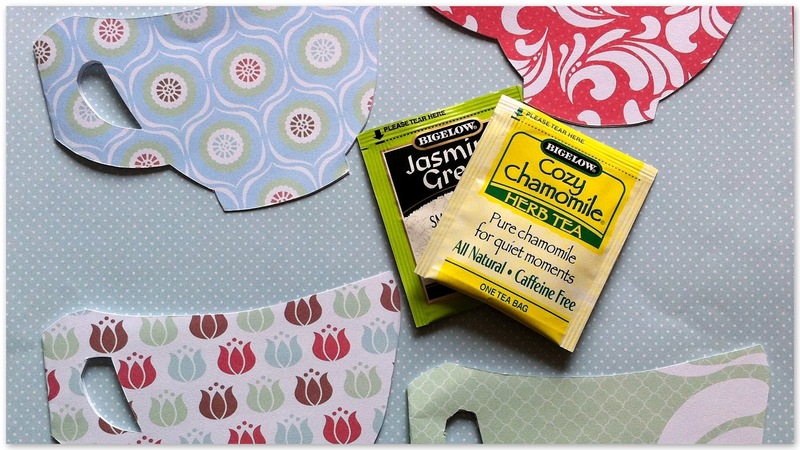 Glue the sides and leave the top open so you have a pocket for the tea bags. Step #3 Using your extra paper, cut out small pieces for your gift tag. Tie the tag around your teacup handle with a string. This will make a nice teachers gift come June. Thanks for sharing! Welcome to my journal of everyday discoveries and musings. This is also an archive of my successful recipes and a scrapbook of our family travels and adventures.